Fidel Agu, Abuja: The National Orientation Agency (NOA) wishes to congratulate the good people of Edo State for the relatively peaceful manner in which they conducted themselves during the just concluded Governorship election in the State. The Agency also wishes to congratulate all political parties who participated in the election for making yet another meaningful contribution to deepening democracy in Nigeria through their participation. We however note with dismay, the brewing tension in Edo State occasioned by feelings of grievance over the outcome of the election. Such a situation is not in the best interest of sustainable democracy, a stable polity and a peaceful society. 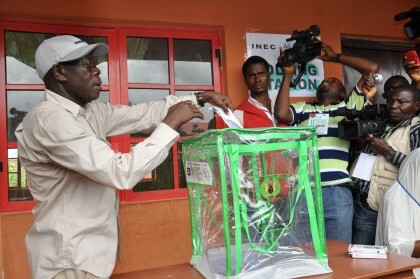 It must be noted that after a keen contest such as the just concluded Edo elections, it is not out of place for some people to feel aggrieved by either the process of the contest or the outcome of it. Indeed, our laws recognize the right of political players, especially political parties, to disagree with election results, hence the provision of legal avenues for redress of perceived infringements. These legal provisions, however, exclude the fomenting of trouble or taking the law into one’s own hands under any guise. It is therefore on this basis that the National Orientation Agency appeals to all persons and groups who may feel aggrieved by the Edo Governorship Election results to exercise their right to seek redress only through lawful means. Indeed, the palpable tension in the State can be diffused by political actors refraining from making incisive statements and rather prevailing on their supporters to give peace and the law a chance. Finally, we must all remember that once elections are over, politicking must give way to unity in the cause of development. We therefore urge the good people of Edo to put away bitterness and embrace brotherliness to keep Edo State on the path of peace and prosperity.